With a whole year ahead of us to develop and improve your business’ online presence, let’s first admit that you have so many different directions you can take online marketing in. There’s social media and marketing on social networks. There’s content marketing, along with website optimization for search engines. There’s PPC, email, affiliate, and a host of other types of marketing you could use to promote your business. But the one that’s probably the most interesting is local SEO. It’s the branch of online marketing that’s the most oriented towards achieving offline results. With the current consumer behavior patterns, local SEO is like the link between the digital and the analog, and that’s important because it turns out that consumers usually like a little bit of both. What Is Local SEO For? Local SEO is different from general SEO because it doesn’t target the same type of search. With a general query, potential customers can get all kinds of content and information. But a local query looks for something in a specific area or near the person who is performing the search. We say that the intent of the person doing such a search is local, meaning that it’s looking in a certain area to satisfy a need. And if your business has what the person needs to satisfy the need that made them do the search, it would be great if your business appeared as a result in a local search. And that’s what local SEO is for. 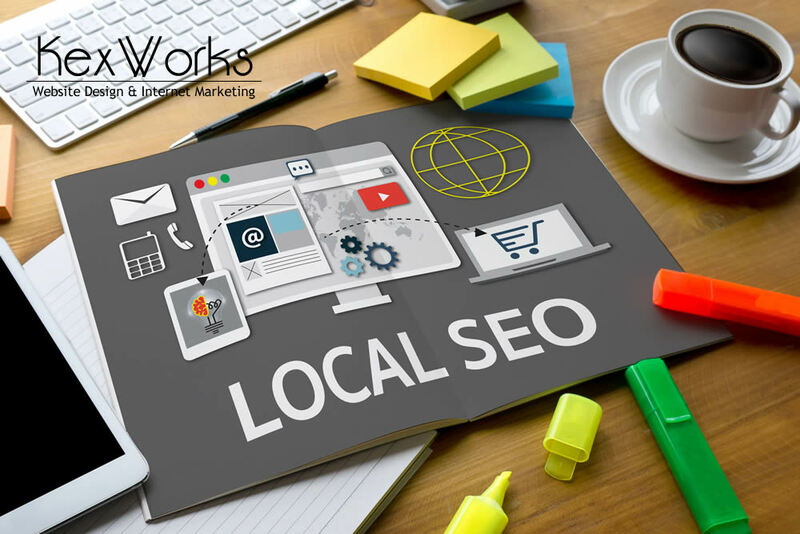 If you thought that regular search engine optimization is a tough business, wait until you see the results page for local searches. In general SEO, the big goal is to rank for a keyword and appear on the first page of the results. In local SEO, the first page isn’t a page at all — it’s a list containing exactly three businesses. When someone looks for the things you sell and they’re searching for them in your area, you want your business to be one of the three that appear in the result pack. There is a bigger page that lists more results than just the three, but it’s a click away which makes it the equivalent of page two of Google search. So the big goal of local SEO is to get you into that pack of three results. If you want to have good local search rankings and get new customers through the door of your brick-and-mortar business, you need to follow four specific steps. The first thing you need to do is to claim your business’ Google My Business page. That’s the closest your business will have to a profile on Google. You can include all the important information about your business, such as the location, working hours, and a couple of pictures. This information ties in with Google Maps, and Google and other reviews. You can also include information about the services and products you offer, although you shouldn’t mistake a My Business page for an online store. Next, you need to turn your attention to your business’ website, if it has one. If it doesn’t, start thinking about making one, and make sure that it’s properly localized. A localized website will contain plenty of references to the actual physical location of the business. It might also include separate content pages for different locations, and even landing pages that serve queries for specific location-related terms. Your business should appear in as many citation websites or pages as possible. You should make a concentrated effort to list your business on as many business directories as you can. Make sure that you include all the information the directories allow you to include. Finally, you should claim your business’ page on review websites. You will also need to build a solid presence on them, which means managing the reviews — especially the bad ones. This can be a time-intensive process, but it’s absolutely necessary if you want your business to rank well in local searches. If you do everything well, you’ll quickly see why businesses are so hungry for local search success. The conversion levels of local search are incredible because people perform the search when they have clear purchase intent. And because there’s still plenty of businesses that didn’t get on board with local SEO, you should take the advantage and put your business info out there as soon as possible.